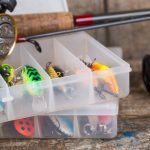 The transition from bait fishing to lure fishing is one of the biggest steps that an angler will take in their fishing journey. Not every angler will want to take that step or change the way they fish. Yet, for those who do, it can prove to be a frustrating and disheartening process. 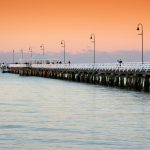 Don’t be dismayed by the challenge of lure fishing and throw in the towel too early. Lures are an extremely effective, clean, and fun way to catch fish and once you get a taste of success, you won’t look back. 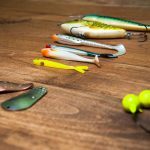 These tips are designed to help you when getting started in lure fishing and make the transition as smooth and successful as possible. The more tricks that you have up your sleeve, the better prepared you will be to face and overcome any fishing challenge. Embrace new tactics and techniques with open arms. 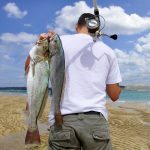 Knowledge and understanding about fish behaviour, fishing techniques and environmental conditions, will provide you with the required skills to catch. Have an open mind and you’ll learn more. Bait fishers are accustomed to lots of activity at the end of their line. Baits appeal to fish of all sizes, so there are always plenty of smaller fish picking and pecking at baits to keep you interested. Lure fishing generally targets the bigger fish, so expect a massive drop in the number of tiddlers nipping at the end of your line. Lure fishing can be extremely productive, but don’t expect constant entertainment from smaller fish. Fish that strike lures are usually of respectable size. Stay patient and don’t be disheartened by any perceived lack of activity. The key to successful fishing lies in understanding fish. Knowledge has an enormous influence on how you approach and implement fishing techniques. It’s critical to understand what your target species likes to eat, how it hunts, and where it is likely to be at any given time. Once you nut-out those basic factors you just need to deliver an appropriate style and size lure to your chosen target. Choose a lure based on what you know about the eating habits and prey preferences of your target species. Baits deliver alluring scent and taste into the water column that draws fish towards it. In contrast, lure fishing relies on vibration and visual cues to tempt fish, so fish need to either see or feel lures in the water column. This requires lure anglers to cover ground and deliver lures to the fish. 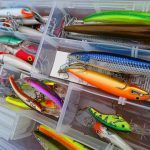 Fishing lures are typically designed to imitate sick, injured or vulnerable bait. Some lures kick, rattle, or vibrate with a simple, constant retrieve, but most require the angler to impart an action with the rod tip. 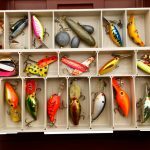 Examine the type of lure that you are using and think about what it is trying to imitate. If it’s a worm, twitch it slowly across the sand. If it’s a sick fish, twitch it with erratic movements and pauses. Ensure that you always employ the right action for the right bait. The trick to lure fishing primarily involves a shift in the way that you think. Rather than sitting and waiting for the fish, you now have to actively seek them out and entice a strike with seductive movements. It’s a remarkably rewarding way to fish and I highly recommend taking the plunge.